Experience a high intensity, white illumination for your swimming pool with underwater LED lights from Certikin. With an outstanding lifespan of up to 100’000 hours these underwater white LED Swimming Pool Lights are not only long lasting, but also incredibly energy efficient as a result (using 90% less power than a traditional lighting system) meaning that you should also save money on long term energy costs! 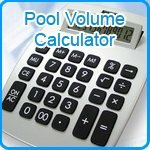 Very helpful in identifying an old model pool light and answering questions. Replacement was perfect. I upgraded from the old 300w halogen lights to plain white LED units. I opted to go for the complete unit rather than just the bulbs as my old units were beginning to crack. The kit contains everything needed including drawstring and electrical block connectors. removing the existing cable through the trunking was the hardest pare as it had solidified. a direct replacement fit means everything is as easy as possible. AS for Jackson Leisure, I can't fault the price or service, many thanks guys. Everything required to replace existing inferior pool lights that leaked after one season. These Certikin fittings were easy to fit with the very clear instructions. Great quality, great illumination and great service from Jacksons Leisure.